You would never guess the beauty that the Pattaya Islands hold considering they are so close to Pattaya City and Bangkok. You can truly escape to paradise in less than 30mins from shore to the chain of islands known as “The Pattaya Islands”. 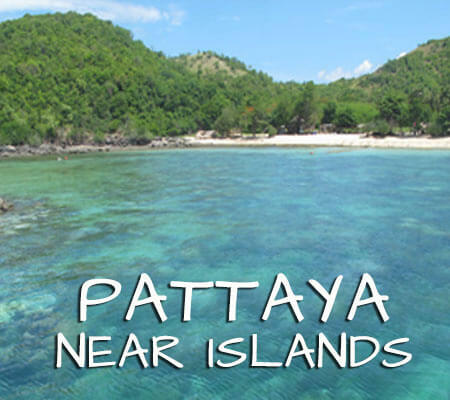 Consisting of more than 15 islands, you can class the Pattaya Islands into three main clusters. The Pattaya near Islands, Pattaya Far islands and the Samae San Islands. Only one of these islands are inhabited, Koh Lan. The rest, owned by the Royal Thai Navy are desert islands largely untouched with pristine beaches, amazing corals and stunning Pattaya Sea life, perfect for snorkeling and scuba diving. By far the best way to explore the Pattaya Islands is by a specialized boat trip. It is possible to take a ferry from Pattaya’s Bali Hai Pier over to Koh Larn Island if you don’t mind the hustle and bustle of hundreds of day tripper tourists. The ferry like most boats in Pattaya takes around 50mins to the near island of Koh Larn. 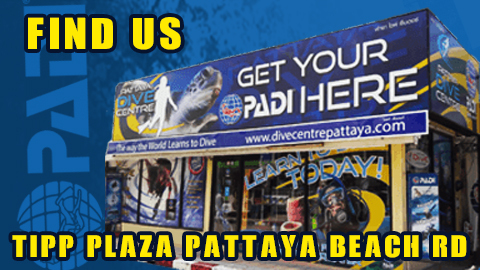 Snorkel Pattaya’s Luxury Speed boat services take you directly from the beach to islands away from the crowds and can reach the far Pattaya Islands within 35min! 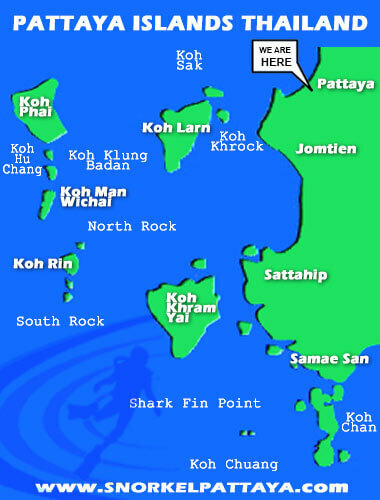 Consists of Koh Khrok, the closest island to Pattaya Beach. Is a small island with a shallow fringing coralline towards the north you can see an anemone garden full of clownfish. Koh Sak The Second Closest, has a reef on the west protected and full of angelfish and sometimes turtles. and finally Koh Larn, the largest of the Pattaya Near Islands. The south side of the island is quieter, Had Nuan offers the best shallow snorkel site and even has a sunken restaurant to explore. 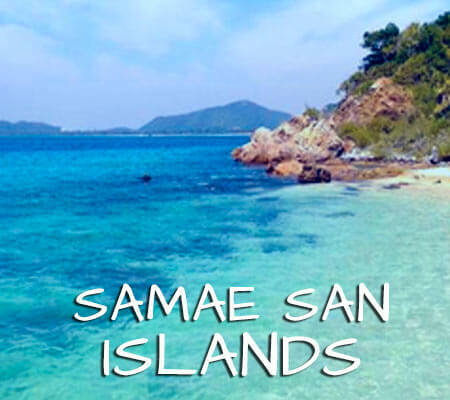 Consists of 3 main larger islands and the smaller satellite islands that surround them: Koh Phai, Koh Man Whichai and Koh Rin. The Pearls of Pattaya, Koh Phai has large soft sandy beaches and shallow reef a few feet from where the waves lap the shore. Koh Man Wichai slightly deeper for a more advanced snorkeler can offer some larger fish to witness. Koh Rin’s south east point is a stunning shallow reefs. One of the best in the area. Keep a look out for large puffer fish and Angel Fish here.